in their eyes is the sparkle of victory. 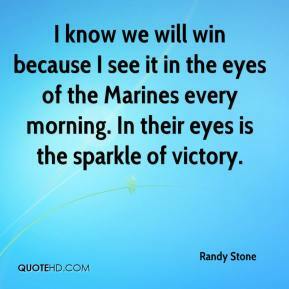 I know we will win because I see it in the eyes of the Marines every morning. 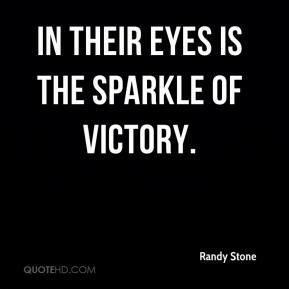 In their eyes is the sparkle of victory. 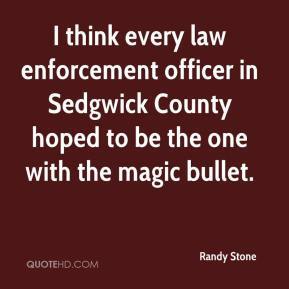 I think every law enforcement officer in Sedgwick County hoped to be the one with the magic bullet. 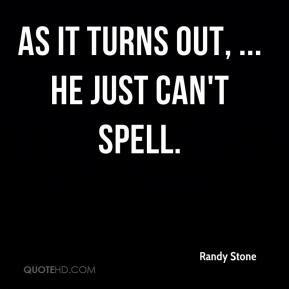 As it turns out, ... he just can't spell.